A K Sharan (2015), “Modern Fiscal Management: A key to Faster, Sustainable and more Equitable Development”, chapter in the edited book “Faster, Equitable and more Sustainable Growth” (bearing ISBN: 978-93-86251-19-0) by Adikavi Nannaya University, Rajamahindravaram – 533206, A.P. A K Sharan (2016), “Paradigm Shift in Public Financial Management: Evolving Architecture, Contemporary Challenges and Issues”, Administrative Development (bearing ISSN No. 2319-2976), Himachal Pradesh Institute of Public Administration (HIPA) Fairlawn, Shimla – 171012, H.P. 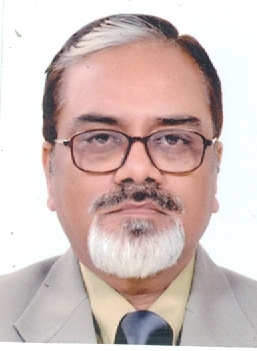 A K Sharan (2016), “Challenges of Modern Fiscal Management and Legacy of the Past: Indian Experience, Innovations in Engineering and Management (Oman Vision 2020: Opportunities and Challenges, February 25-26, 2016, Waljat College of Applied Sciences, Oman in academic partnership with Birla Institute of Technology, Ranchi, India. A K Sharan and Rajneesh Prakash Verma (2017): Determinants of Corporate Performance: A Review of Literature, National Conference on Management, Economics and Social Sciences, July 14-15, 2017, Department of Management & Humanities, NIT, Hamirpur 177005 (paper to be published). Study on Unaccounted Income / Wealth both Inside and Outside the Country. Over `2 crores (2011-2015). Review of Autonomous Bodies of the Central Government Ministries and Departments. Approximately `40 lacs (2017 – (ongoing)).